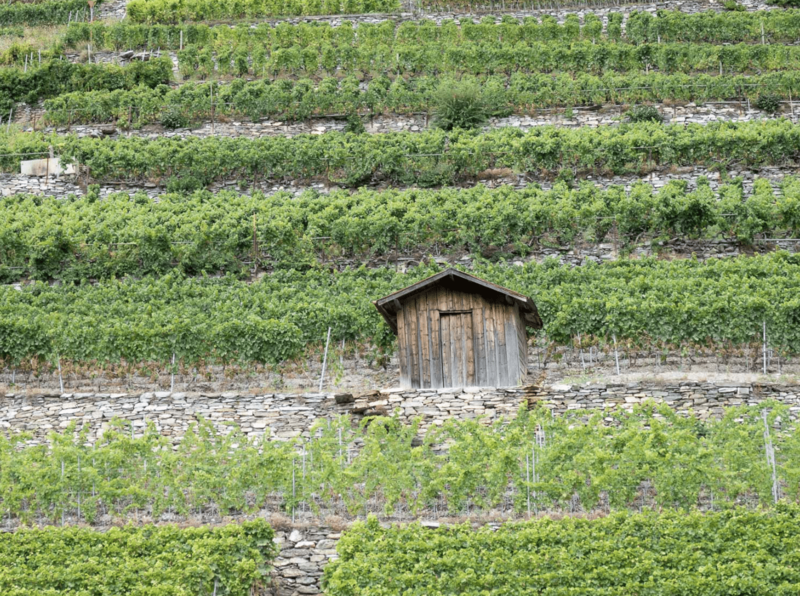 Swiss wines: a well-guarded secret? For a country so small, Switzerland punches well above its weight. From exceptional design, incredible infrastructure, to some of the world’s most sophisticated engineering, this small confederation of cantons is about so much more than tax dodging and the Toblerone. Yet one thing doesn’t generally spring to mind: wine. 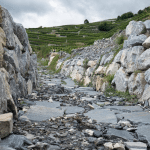 Switzerland is home to an incredible 252 grape varieties, many indigenous, some on the verge of extinction, supplemented by an astonishing array of precision-engineered crossings specifically designed to defy the odds in the country’s vertiginous vineyards. 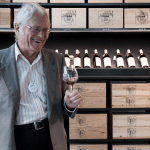 There are styles of wine to satisfy most palates, yet if you asked a typical international drinker about their experience of Swiss wine, you probably wouldn’t get much further than a brief flirtation with Fendant. One simple fact explains this: the Swiss drink 99 per cent of their output, leaving a minuscule amount for export. Then there’s the price: with labour costs up to five times higher than Bordeaux, the wines don’t come cheap. Oddly, Switzerland also lacks a serious top end to its market, with most wines sitting in the CHF 18-80 (£15-£65) bracket, meaning they don’t spike the interest of the super-rich. And finally, there’s the recognition factor, with those native grapes and crossings unfamiliar to most of us. How about a Humagne Rouge? Who’s for a glass of Garanoir? 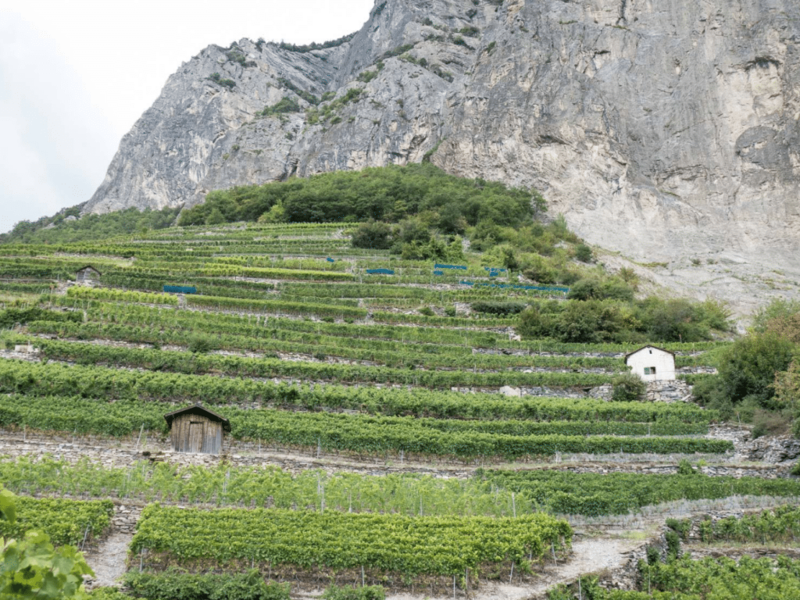 Undeterred, Swiss producers are determined to change all that, with a goal of increasing exports to drive greater recognition of the country’s wines. 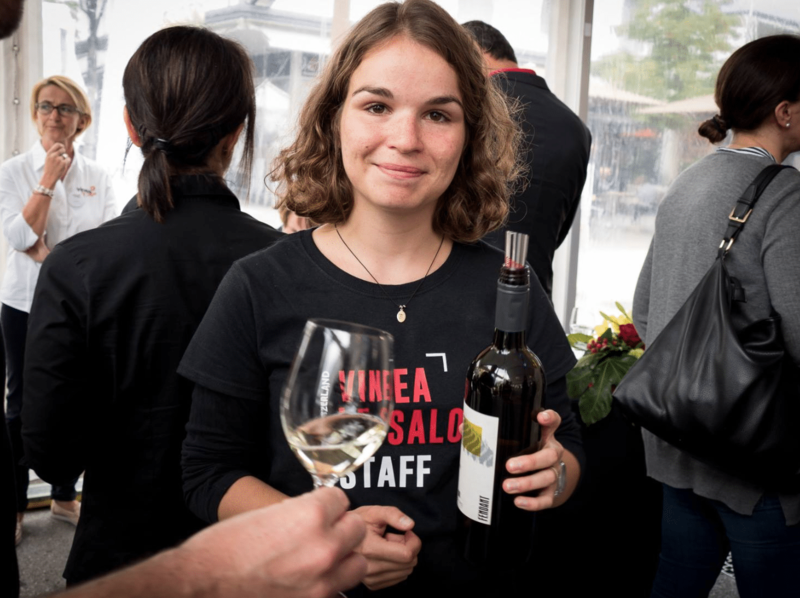 VINEA represents those producers and although its ‘Salon’ showcase in Sierre was squarely aimed at enthusiastic domestic drinkers, of which there were many, there was much talk of the wider wine world. Switzerland has 15,000 hectares (ha) under wine, across six regions, with the Valais accounting for a third of all production and the vast majority of wines on show. Many vines grow on historic stone terraces that rise hundreds of metres, resembling viticultural battlements. The country boasts a significant proportion of the world’s UNESCO protected vineyards. 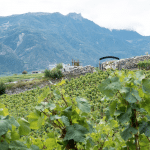 “There has been such an improvement in quality in Swiss wines,” Olivier Roten at Caves de Paradis told me, “and much of that is thanks to competition from other countries. Now we must show the world what we have here. The future of Swiss wine is to export, but we need more help from our government.” Roten’s wines range from the more familiar, including a deliciously wild Syrah and an elegant, lightly savoury old-vine Pinot Noir, to some of Switzerland’s traditional mountain vines, like Heida (or Païen, if you’re a French speaker), which has a charming nose of light citrus and delicate meadow flowers that belies its firm acidic structure. 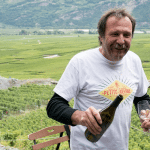 Then there’s his own take on traditional Valais winemaking, with the delicious Cuvée Mélèze 2016 – an equal blend of two more historic Swiss varieties, Humagne Blanche and Petite Arvine, aged for 11 months in barrels made from larch. This imparts a distinctive mountain note to the wine that must require expert handling to avoid something resembling a pine-scented cleaner. Petite Arvine actually emerged as one of my personal favourites at the tasting, repeatedly proving itself superior to the more widely-planted Chasselas, also known in the Valais as Fendant, which generally boasts an attractive, delicate citrus nose and a pleasing spritz, sometimes with salinity, but almost never discernible acidity. By comparison, Petite Arvine Tradition 2017, from Domaine des Muses, imported to the UK by Alpine Wines, has a beguiling nose of mango, melon and clementine, with robust, bright acidity and a saline twist on the finish that reminded me of Verdejo. 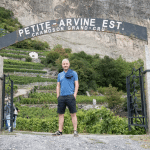 Another excellent example comes from Bonvin, in nearby Sion, whose Noble Cépages Petite Arvine 2017 combines generous citrus and tropical fruits, tension and a sense of minerality. 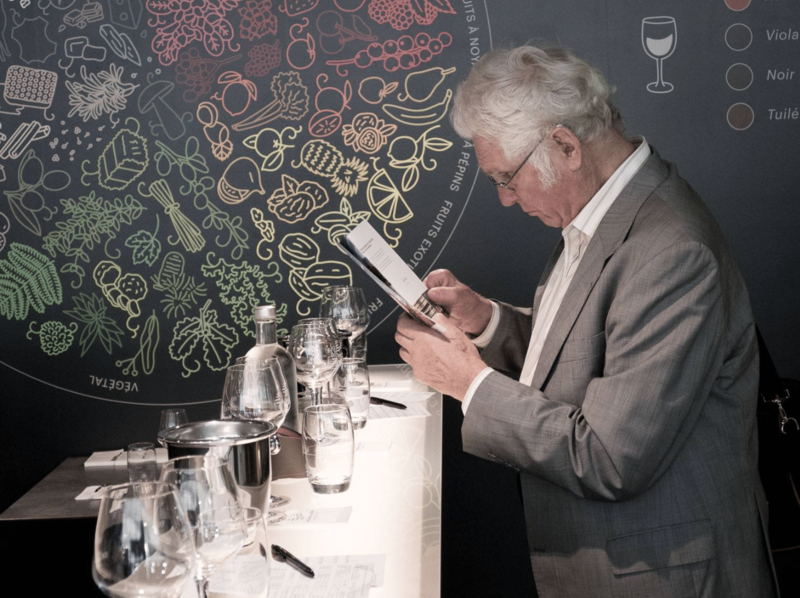 Grape geneticist Dr José Vouillamoz, Switzerland’s leading authority on its indigenous varieties, worked alongside Jancis Robinson and Julia Harding on the incomparable Wine Grapes, which must have been as backbreaking to write as it is to carry. He told us: “The best examples of Petite Arvine rank among the best white wines in the world. 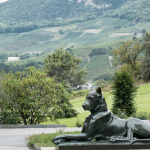 This should be the flagship of the Valais.” He introduced us to another ancient treasure: Rèze. First mentioned in 1313, there are just 2.5 ha of it left in Switzerland. This is a shame, as the Cave Les Sentes 2017 Rèze has precision and charm, with bright grapefruit, juicy green apple, firm acidity and length. 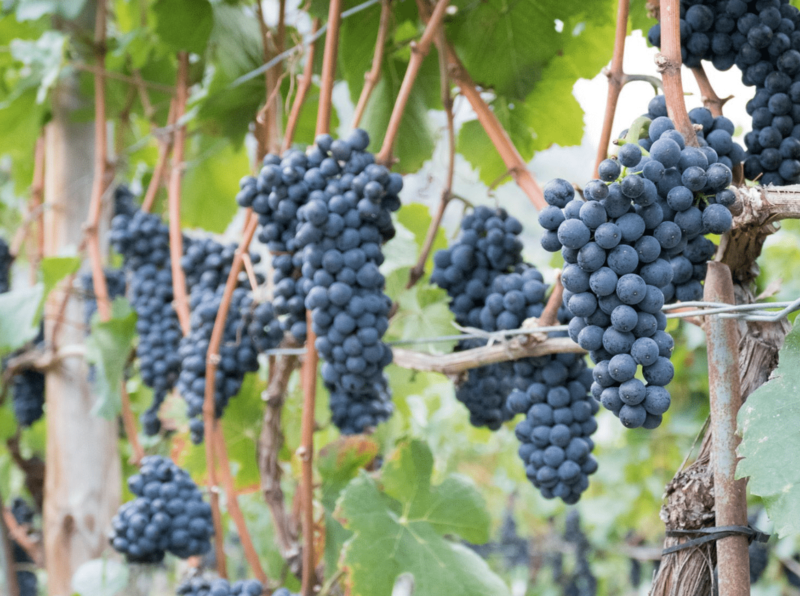 Sixty per cent of Switzerland’s wines are red, dominated by Pinot Noir. Some of the clonal selections might misfire slightly in the mountains, but the best wines undoubtedly give Burgundy a run for its money, at a relative fraction of the price. 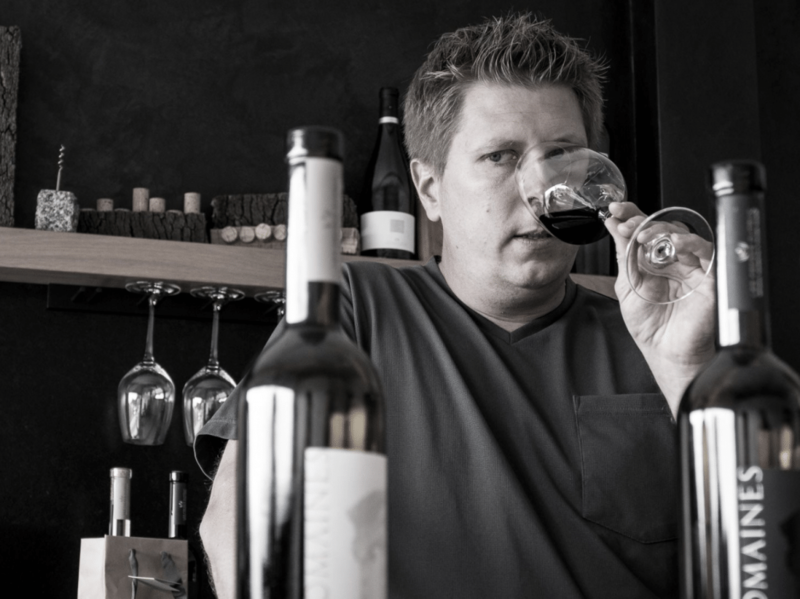 Gregor Kuonen produces an unfiltered Pinot Noir using gentle movement to achieve a wine that has a light, violet-perfumed elegance and a distinct summer meadow charm. I love Cabernet Franc, so I enjoyed Kuonen’s Grandmaître Barrique 2016, brooding with dry herbs, dark chocolate, gentle spice and just a slight tannic chew. Both wines are also imported by Bradford-based Alpine Wines. 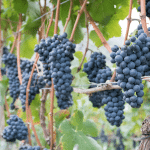 One of the more popular reds with Swiss consumers is the veteran Pinot Noir Aigle Les Murailles Rouge 2017, which offers ripe sour cherry, light tannins and just enough acidity to provide a pleasing spine to the wine. Alongside the international varieties, there are some interesting crossings – including Gamaret, a mix of Gamay and the white Reichensteiner (itself a crossing) – and indigenous varieties like Cornalin, also known as Rouge du Pays (do keep up), which taste enticingly different. Cave des Bouquetins Cornalin 2016 has a beautiful dark plum and cherry stone character with lovely acidic structure, perfect for the venison you might reasonably expect to find on your Alpine supper plate. Reflecting on my tasting notes, it’s clear that Switzerland’s somewhat confusing selection of wine varieties deserve a bigger place in my consciousness than I had ever realised. 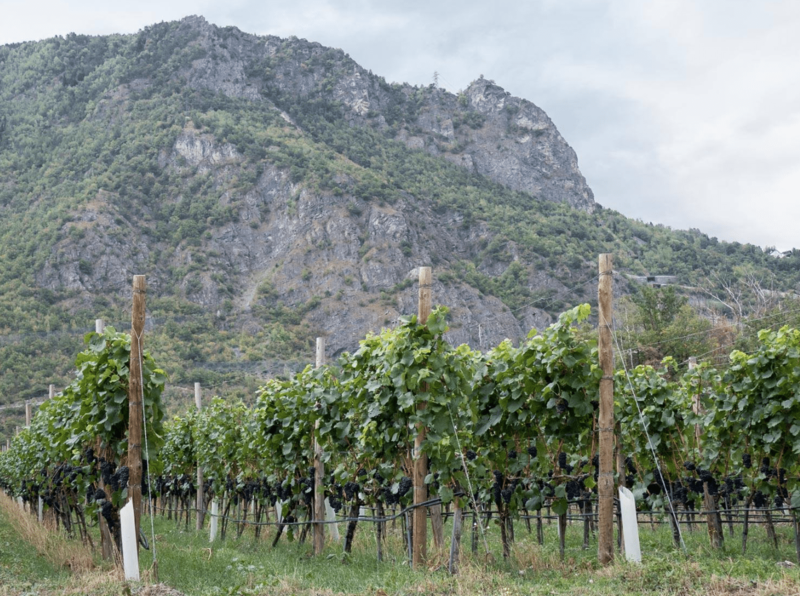 There’s no denying that anyone enthusiastic about tasting something new can have a field day in the mountains – there’s vibrancy, if not always acidity, with the wines more often than not speaking of their surroundings. They’re not cheap, but neither are they especially expensive. At the very least, it has to be worth more than that minuscule single per cent that currently reaches the rest of us. David Copp assesses Switzerland’s vast tourism potential. 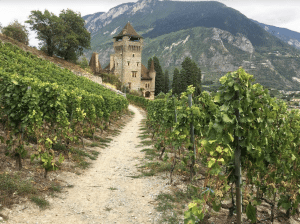 On my visit to Switzerland’s French-speaking wine growing regions, I was particularly interested in looking at the development of wine tourism. It is well known that Switzerland only exports 1 per cent of its wine production because it likes drinking its own wines. Furthermore, everything in Switzerland is expensive and the currency is strong enough to discourage exports. Therefore, the main thrust of promotional spending goes on attracting visitors to Switzerland. 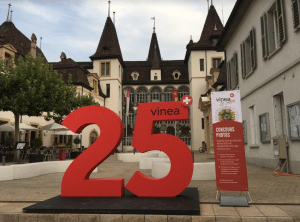 Indeed, the main purpose of the CWW visit was to visit VINEA, the Swiss wine show, but also to taste wines from the 21st Mondial des Pinots, a competition which attracted 1,100 entries from 21 countries. My colleagues will describe the wines while I report on our visit to the fair, a recently opened Oenopark and three outstanding cellars. 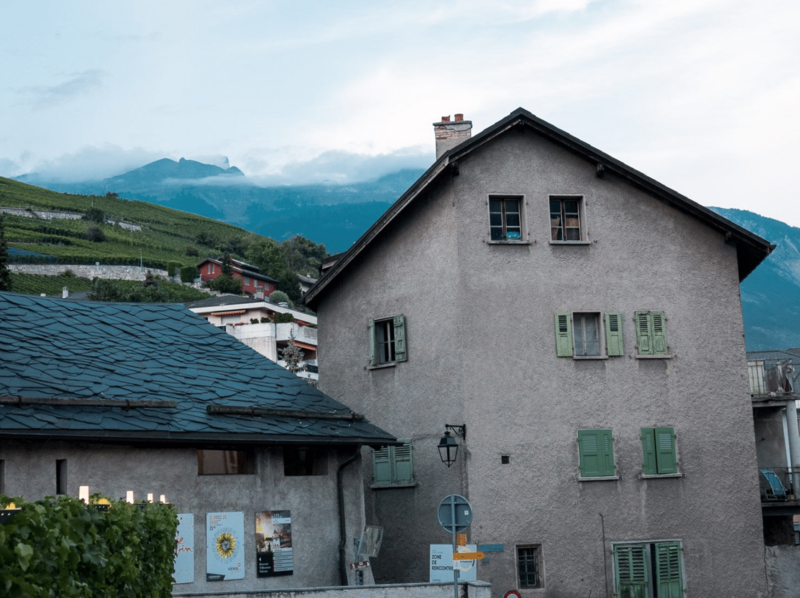 For the three days of the festival, the heart of Sierre became a tented village making it obvious to outsiders that something special was going in the heart of the town. 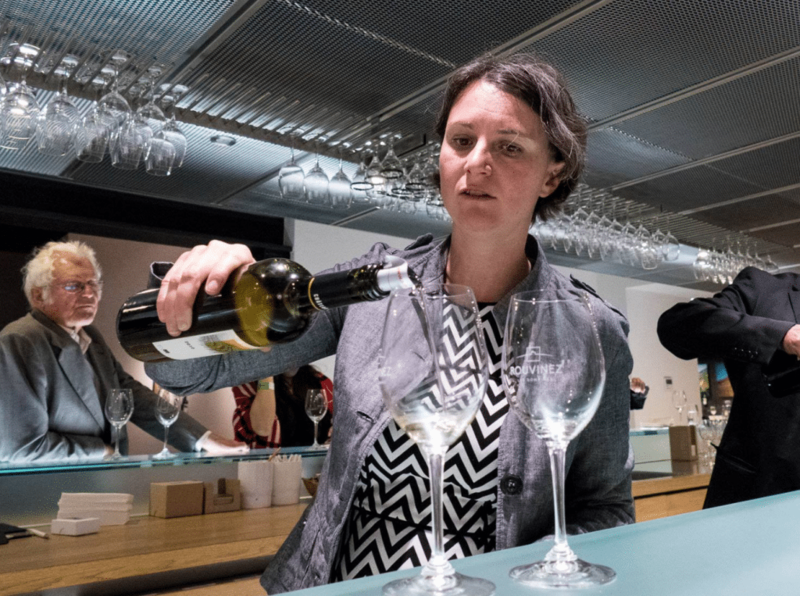 The latest wine tourism surveys reveal that meeting winemakers, tasting their wines, and having the chance to converse with them, adds up to a successful show. 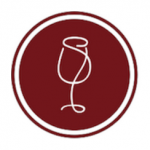 Making this happen was a key objective and I liked the use of ‘angels’ to help younger adult wine enthusiasts to find their way among the 360 producers. 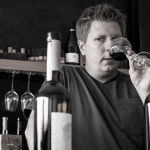 The same surveys show that that the wine tourist demographic profile is currently biased towards men in the 35-55 age group during the summer months. The plan is to try to attract more women and younger adults, particularly in the spring and autumn. 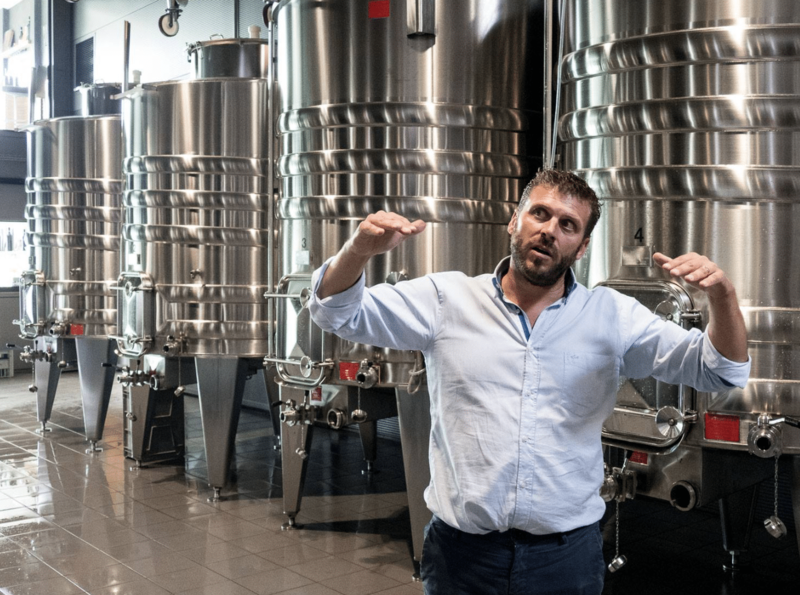 “We need to inform but we also need to entertain,” said David Heretier, director of Les Celliers de Sion, the extremely impressive Oenopark developed and built by Bonvin and Varone, which are partner wine companies that have invested CHF 8 million (£6.3 million) in their outstanding facility. 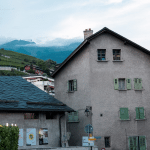 The striking building in the heart of Valais was designed to build the recognition of the two companies’ wine ranges and of course to prompt sales. 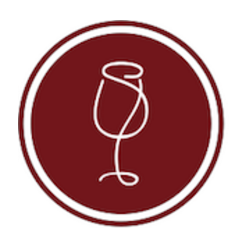 An excellent short video introduces the owners, their vineyards and key personnel, and unsurprisingly, we learn that sipping and slurping is the main reason for most visits. “Don’t be put off by talk of steep slopes. All the vineyards are terraced and rambler paths find the easiest way to climb gently, accompanied by a qualified guide ready to demonstrate the difference between various grape varieties and methods of cultivation, and show how the wines pair with local food products.” Such guided tours, which might cover 5km, are aimed at attracting groups of younger wine enthusiasts. An attraction for the foreign visitor is partaking in a raclette cheese dinner at Château de Villa. On our visit, nine different Swiss cheeses were served grilled during the evening with various white wines. Valais, Switzerland’s largest wine producing region, doesn’t have the broader cultural appeal of Bordeaux or Florence, nor the uniqueness of Tokaj or Rioja, nor the show business pizzazz of Napa or Hunter Valley, but its central European location, sheer beauty and equitable climate make it very appealing. 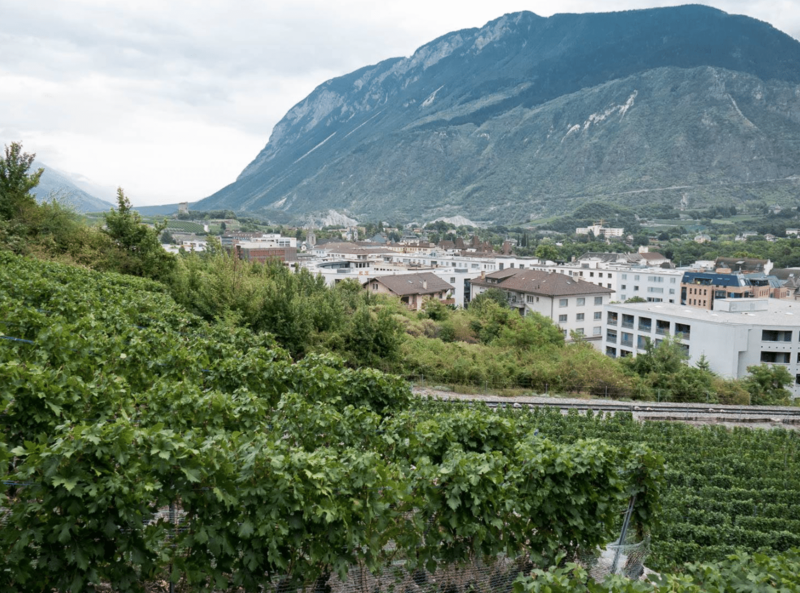 Both Parker and Gault Millau have identified 100 top wineries, many of them making small quantities of fine wines that go straight to the cellars of connoisseurs in Geneva, Zurich and nearby Lichtenstein. However, we were lucky enough to be entertained in the cellars of three outstanding producers, who in different ways made our visit memorable. The first was to the artisanal Dutruy Brothers’ stylish ultra-modern winery at Founex village, near Geneva. The winery has been designed to ensure the best possible handling for the grapes they harvest from their own 26 ha of vineyards. 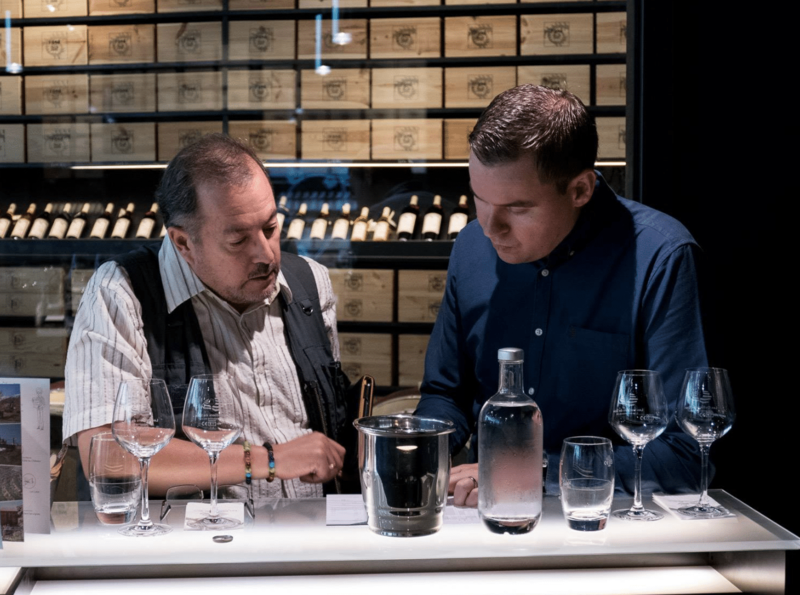 Both brothers communicated their enthusiasm for their work, which was rewarded with the coveted Winery of the Year award in 2017. They are best able to handle small groups of 12 inside, and 25 outside, to show the precision of their wines, particularly Les Romaines, their top range. Our second visit was to Rouvinez in Valais, a larger family-run business, where we were ushered into a reception area enhanced by fine photographs of the company’s various properties. In the adjoining tasting room, winemaker Véronique Rouvinez gave us an outstanding tasting of Petite Arvine and Marsanne over four vintages. It was both educational and immensely enjoyable because the facilities were so good and the presenter so skilled. Afterwards, we ate outside on a cool evening and very much appreciated soft wool blankets to ward off the late summer Alpine chill. Our third visit was to René Favre et fils, another family producer in the Chamoson, whose superbly elegant Petite Arvine, soft enchanting Syrah and wonderfully mature Pinot Noir were memorable. Mike, one of the two brothers who make up the fils, spent seven years making wine in the US and has a somewhat less formal approach. We met at his wine hut in the mountains and tasted his wines while gazing awestruck at the huge granite slabs rising several thousand feet above us. 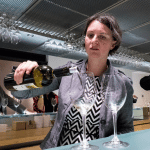 The Swiss are determined to make their wine tourism contribute to building awareness for their wine offering and I can recommend CWW members to take any opportunity to taste the quality of the wines for themselves. Jochen Erler ponders Pinot Noir Swiss-style, which he finds has come on light years since his first encounter with it almost 50 years ago. 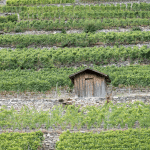 Wine production in Switzerland has a long tradition. Some of the grape varieties grown by the Celts have survived and are being replanted by enthusiastic vintners. 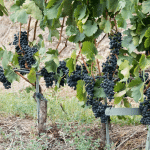 Pinot Noir is one of the many grape varieties that were brought in. While monks brought most of the grape varieties to Switzerland, it was Marie of Burgundy who 600 years ago introduced Pinot Noir under the name Servagnin to Morges. Only here, in today’s appellation of Morges on Lac Léman, Pinot Noir is still called Servagnin. Outside the Morges area, for about 100 years, Pinot Noir was called Dôle. However, since the 1940s, this name has been used exclusively in the canton of Valais for a blend with Gamay. Apart from this very successful cuvée, most of today’s Pinot Noirs are pure varietal wines and carry the international name. Pinot Noir is the most planted grape variety in Switzerland with 4,140 ha, followed by Chasselas with 2,790 ha and Gamay with 1,300 ha. 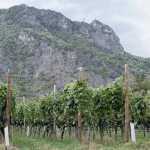 It does very well thanks to the prevalent chalky soil and many winemakers in the north of the country consider it as the only grape suitable for great red wines in Switzerland. This may be true if one takes all cantons into account. But the Valais canton certainly makes great red wines also from Syrah, as well as from some new crossings, and in other cantons excellent reds are being produced, too. I have observed the development of Swiss Pinot Noir since my first cognizant encounter at a generic tasting in New York in 1969. I wasn’t impressed. No way could it be compared with the wines from the Côte d’Or or from the Mâcon that I knew already. The Swiss Pinot Noir single varietal in 1966 was of average quality, while the 1967 Dôle blends were better. The rosé Oeil de Perdrix was clearly below average. My next encounter was in 1996 at Interwein in Frankfurt, the forerunner of Prowein. Here the Association of Swiss Wine Exporters presented a good 1995 single varietal wine and a very good 1995 Dôle. The 1995 rosé didn’t convince me. 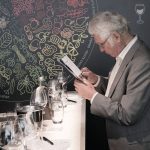 A dramatic change occurred around ten years later at the London Wine Fair, at Prowein and the generic tastings in London. Now the Swiss Pinot Noirs offered a silky texture, succulent fruitiness and great complexity. My participation as a judge at three Mondial de Pinot competitions, organised by the Swiss Association VINEA, and as a judge at the Italian Pinot Noir competition in South Tyrol (Blauburgunder Tage), offered me opportunities to study and understand the variety more thoroughly. I also noticed that judges these days are much more open-minded than about ten or 15 years ago when a Pinot Noir could hardly win a Gold medal unless it had a Côte d’Or style. Today’s medal winners represent many different expressions of microclimate and soil, and this applies in particular to those from Switzerland. The most prominent difference is between the Pinot Noirs of Neuchâtel or Geneva with a decent level of acidity, and those from Vaud with mostly low acidity. Some from the Vaud area come closer to the Côte d’Or style than the other Swiss Pinot Noirs, while a good number from Neuchâtel and surroundings are closer to the fleshier Mâcon wines. In this year’s Mondial des Pinots, there were 676 red wines, 104 rosés and still Blancs de noir, 67 Pinots Gris, 54 Pinots Blancs and almost 200 blended, sparkling, sweet and other Pinot Noirs. The outcome of the contest was interesting because the Swiss received four Great Gold medals out of 859 entries, Germany three out of 103 and Kazakhstan one top medal out of only 3 entries. Looking at just the reds, Switzerland obtained two, with Germany and Kazakhstan claiming one Great Gold each. 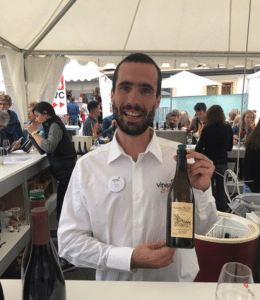 The Festival des Pinots Primés, held four weeks later, gave the public an opportunity to taste some of the medal winners either at VINEA’s stand or to taste the whole range of the Swiss producers’ wines at their tables. The great majority of the medal-winning Pinot Noirs were wines matured in barrique, while in a few rare cases the oak was a bit heavy-handed. 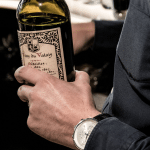 The 2015 vintage showed itself to be more accessible, while the more restrained 2016 vintage, probably with good ageing potential, is often still too young. 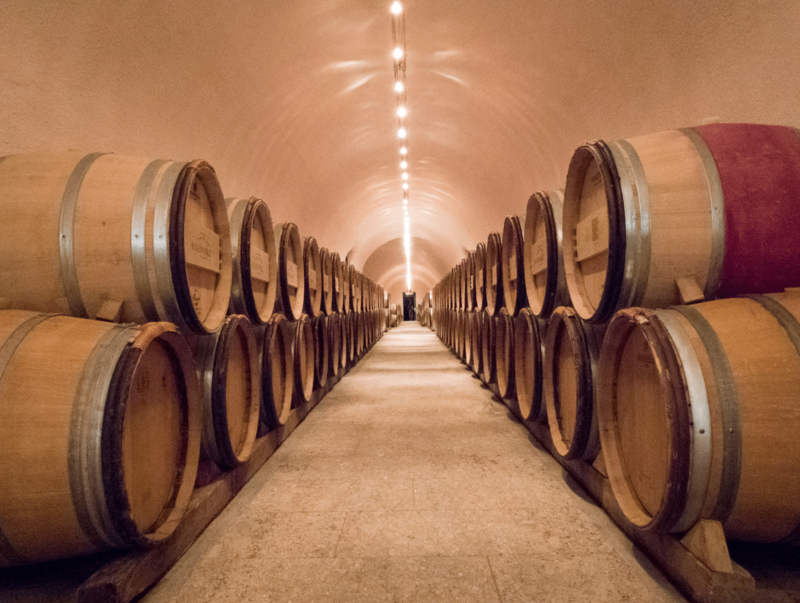 The few made in stainless steel or large oak barrels were more to my liking, as they expressed better the fine fruit aromas and Pinot Noir’s mineral notes. There was a well-attended tasting on our trip with José Vouillamoz, which included three red Pinot Noirs from Switzerland that had received Silver medals. Here my attention was drawn to the beautiful Servagnin Bolle 2015 from Vaud, which could have been a Gold winner. The other two Pinot Noirs deserved without a doubt the Silver they had achieved. Wink Lorch shares lessons learnt from visiting three Swiss family winemakers, one of which she first visited almost two decades ago. Most people flying into Geneva airport are not coming for the vineyards, but as someone who flies in regularly (to my home across the border in Haute Savoie, France), I’m always amazed at how many vineyards are so close to the airport. 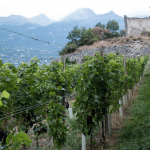 Depending on which way the wind blows, and thus the flight path, you may descend from southern Burgundy and fly over the gentle slopes of the Geneva vineyards above the River Rhône. Or, if you fly in across the Jura mountains, you come down over Lac Léman and alongside the Vaud vineyards, which extend almost from one end of the lake to the other, with Lausanne in the middle and Geneva at the end. So it was that our journey to the winery of Les Frères Dutruy was just 15 minutes’ drive east from the airport, to Founex in the La Côte area of Vaud, less than a kilometre from the lake. It was another hour and a half to the stately Château Mercier in Sierre, our base for three nights to explore the VINEA wine fair and it was in Valais that all our other visits took place. 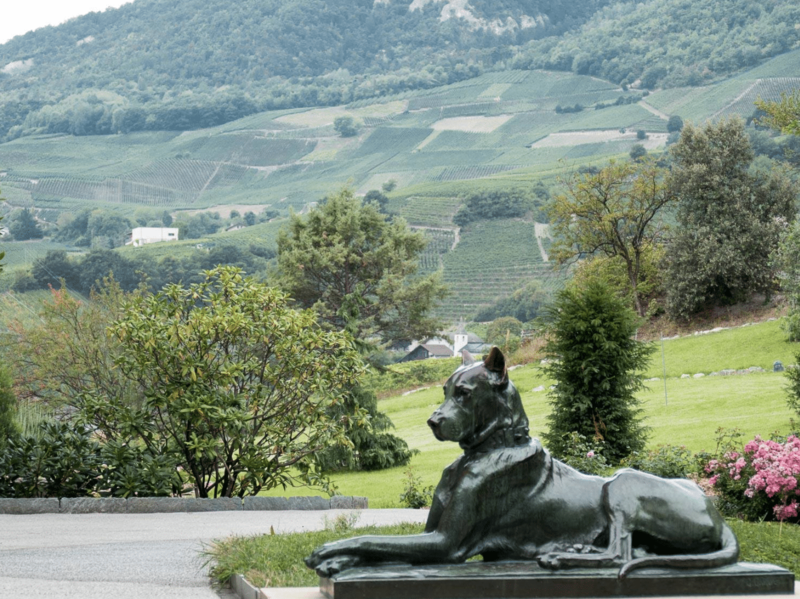 Brothers Christian and Julien Dutruy had two reasons to celebrate in 2017: it was the 100th anniversary of the winery created by their great-grandfather, and they won the prestigious award of Swiss Winery of the Year, bringing a big upswing in business. Also, for the first time, they are able to bottle all the wine they produce, previously having sold some grapes to négociants. Both brothers had an impressive track record of working elsewhere in Europe and beyond, before taking on the running of the estate in 2005. Today they manage 26 ha of vineyards – about half of which they own, with the rest on a long-term lease. They converted to organic production in 2010 and are certified by Bio Inspecta, one of several Swiss organic certification bodies. 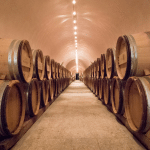 The Dutruys consider themselves as artisanal winemakers, but they are nevertheless a medium-large sized Swiss winery, producing enough to support two families. In addition, they have one of the largest vine nurseries in Switzerland, run by Christian; the half a million plants they graft annually are mainly sold locally. Whereas originally there were just three main varieties grown in the area – Chasselas, Gamay and Pinot Noir – today their vineyards are planted with 20 different grape varieties (a theme that recurred on all our visits), with just over half for red wines. 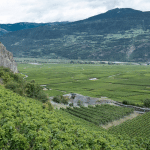 Unusually for this part of Switzerland, they grow only 15 per cent of Chasselas, partly due to their proximity to the more open-minded Geneva market and partly because of their low altitude – few of their vineyards go above 400 metres. Their organic vineyard methods incorporate some biodynamic processes too – using preparation 500 and also silica (preparation 501), as well as working with the phases of the moon, especially for bottling. Their biggest challenge in carrying out organic viticulture is managing the soil, which here is very compact, due to being mainly on old glacial moraine, and high rainfall means that grass and weeds easily get out of hand. The Dutruys sell 80 per cent of their production between Geneva and Lausanne, and export a tiny amount to the UK and the US. 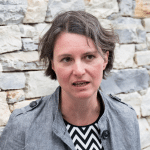 However, they are well aware that price is an issue for Swiss wines on export markets and pointed out that in Switzerland labour is between two and three times more expensive than in the EU. 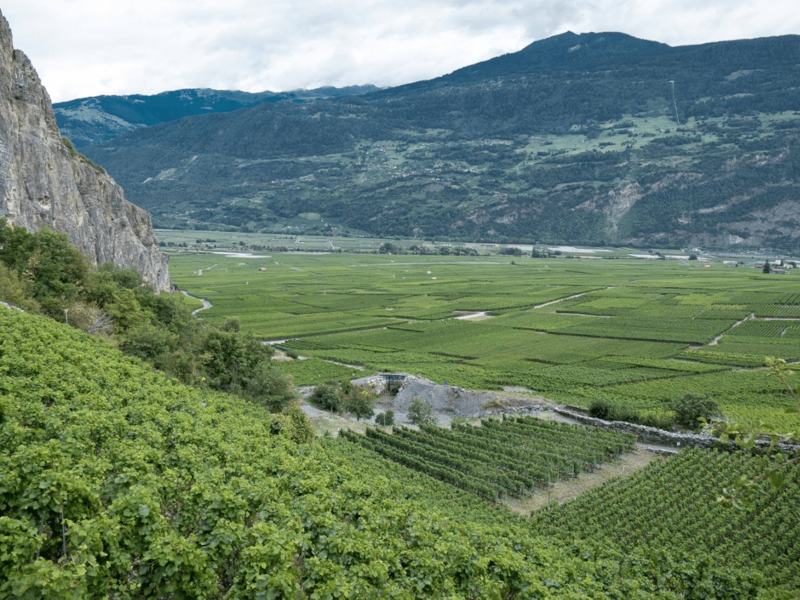 Their high-density vineyards (at 10,000 or more vines per hectare) require on average 650 hours per hectare of labour, compared to 1,000 hours or more in steeper Swiss vineyards, but only about 300 hours per hectare in Bordeaux, for example. The modern gravity-flow winery was built in 2014, but the shiny stainless steel vessels were not the only tanks in evidence as the brothers decided to re-use the older metal tanks, joyfully painted in red and yellow. The bijou barrel cellar included a couple of works of art and some boards for cross-bow target practice, ideal for aspiring William Tells… The oak is from François Frères and Remond. 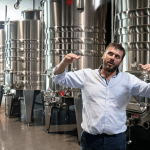 Julien Dutruy, the winemaker, explained that only natural yeast is used for their barrel ranges, but they still use neutral commercial yeast for tank wines. These days only Chasselas is chaptalized (exclusively with Swiss organic beet sugar) and this wasn’t needed in the low-yielding year of 2017. Everything is very carefully thought out here and it showed in the small selection of their range that we tasted, which impressed us all. 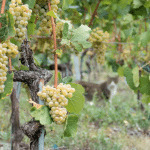 In their deliciously refreshing, slightly spritzy Cuvée Spéciale Chasselas 2017, the low acid of this grape was evident, but malolactic is encouraged here. Julien explained that in Switzerland most white wine is drunk as an aperitif, so it’s important to retain a soft taste. However, for extra freshness they retain 1.2g/l of carbon dioxide and some local producers keep up to 1.8g/l. 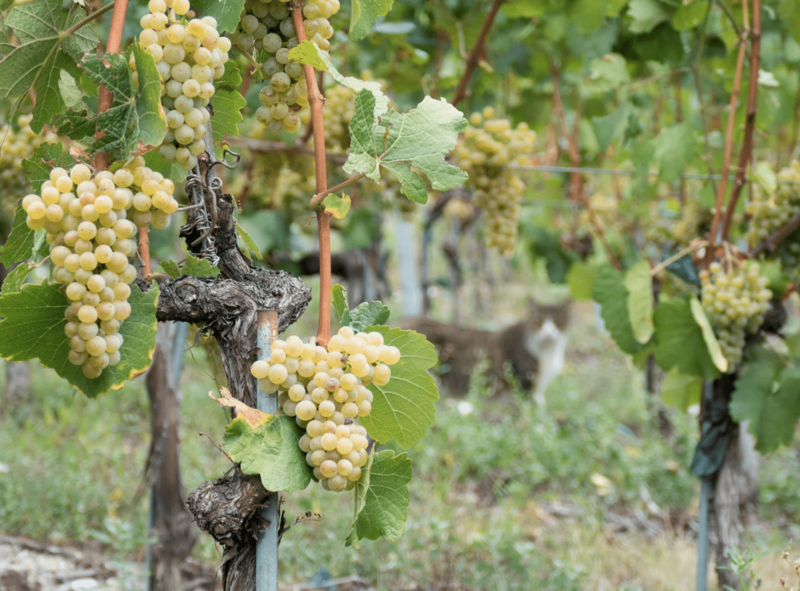 Chasselas yields remain high, with 80hl/ha for the Dutruy brothers, who point out that any lower and even more acidity would be lost. The Les Romaines range of wines are oak fermented and aged. Both the Viognier and Chardonnay were well-made wines, with the Chardonnay quite Burgundian. Pinot Noir 2017 Grande Réserve Les Romaines was still very youthful, revealing a deft hand with the oak. Personally, I preferred the freshness of the unoaked Pinot and their rosé, which we enjoyed with lunch at a nearby restaurant. 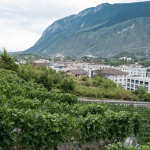 Valais is the largest wine-producing canton in Switzerland and Rouvinez is the largest family winery. After several takeovers including Imesch, Orsat and Bonvin (who in turn are co-owners with Varone of Les Celliers de Sion), Rouvinez owns 120 ha and buys in from around 1,000 small growers, giving a further 400 ha. The vineyards range from 500m to 850m in altitude stretching across 15 kilometres. 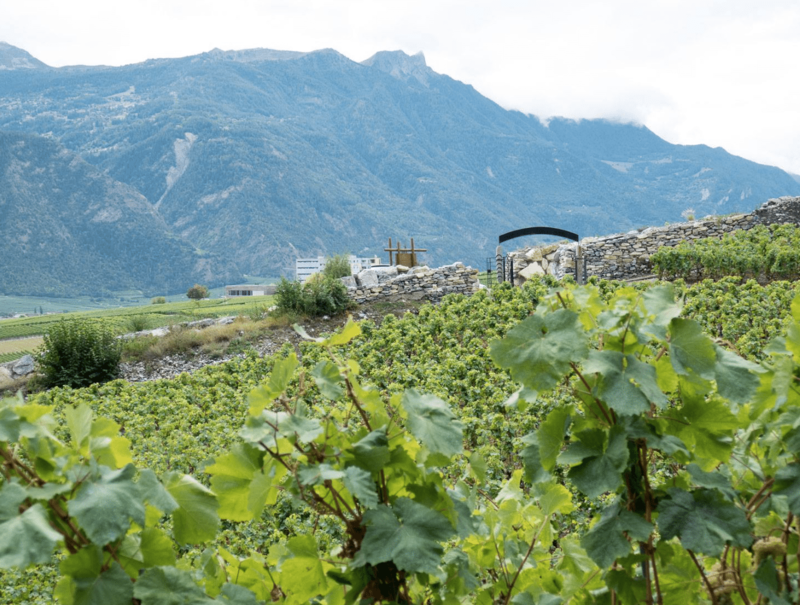 Our host and chief winemaker, Véronique Besson-Rouvinez, explained that the total vineyard area in Valais is currently decreasing, as the children of the small growers often do not want to continue working the vines. Some sell their plots to wineries, but many are sold for housing and industry. 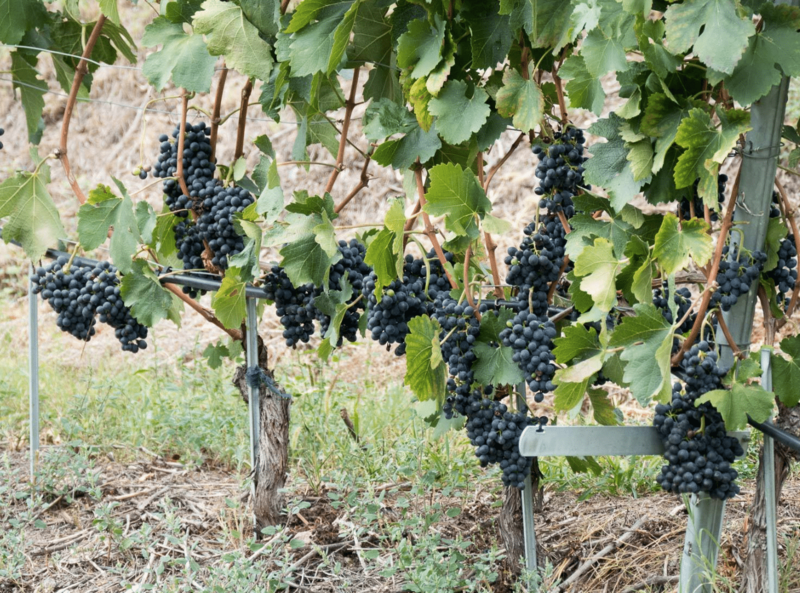 Safeguards are in place to ensure that vineyard land is retained, with wineries forbidden to sell vineyards except under certain very particular conditions. 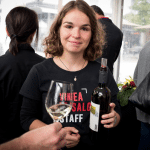 Véronique, who joined the winery in 2005 and works with her two brothers, father and uncle, trained at the best-known Swiss wine school, Changins, near Nyon in the Vaud and explained that Switzerland is so isolated that her qualifications were not accepted elsewhere to continue her studies. Her approach is certainly more restrained and less worldly than that of the Dutruy brothers. 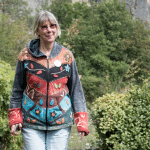 Although they now have about 20 ha of organic vineyards and she stresses that today the vineyards are managed in a much more environmentally-friendly way than in the 1980s, she cannot imagine ever being able to convert all to organics. 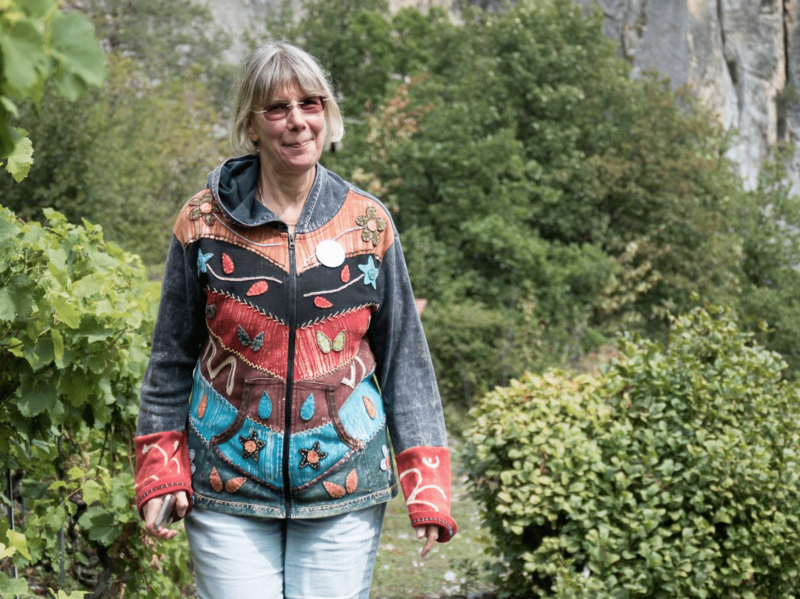 Herbicides are used where there is no water to grass down the vineyards (and water is highly restricted in this area); and she feels that only certain varieties can be farmed organically, such as Syrah, Gamaret and Gamay. This year, some of Rouvinez’ growers have become certified organic, so the company will release a new organic range of wines. In winemaking terms, Véronique remains cautious, too: she will not contemplate using natural yeast fermentations, for example. The 2017 Coteaux de Sierre Fendant (the Valais name for Chasselas) kicked off our tasting at the Rouvinez winery on Colline de Geronde, above Sierre. However, Véronique is on a mission to educate Rouvinez’ customers to keep wines for longer than just a year before drinking and treated us to a double vertical tasting of Petite Arvine and Marsanne (known usually in Valais as Ermitage, but to be more internationally acceptable Rouvinez use the correct varietal name). 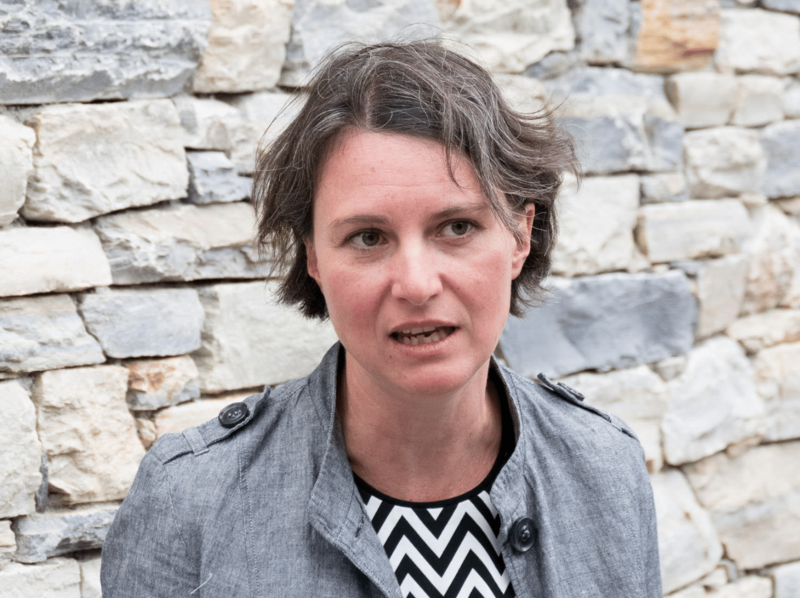 With pairs from 2016, 2010, 2006 and 2001, Véronique gave us a rough sketch of climatic conditions for each vintage and also explained that Petite Arvine (which José Vouillamoz the following day described as the most Alpine of varieties), always has more acidity than Marsanne. The tasting had our group riveted, and my personal impressions are as follows. The 2016 summer was very hot and there was a long growing season – these young wines showed what different varieties these are even if both offer quite aromatic flavours – a tangy saltiness showed on the Petite Arvine, and a soft roundness on the Marsanne. In 2010, the spring was rainy and the summer hot and dry giving a very low quantity. Whereas Petite Arvine seems to have suffered from the atypical dryness, giving it a somewhat vegetal character, the year obviously suited Marsanne and the wine showed delicious ripe fruit and superb length for an eight-year-old white. 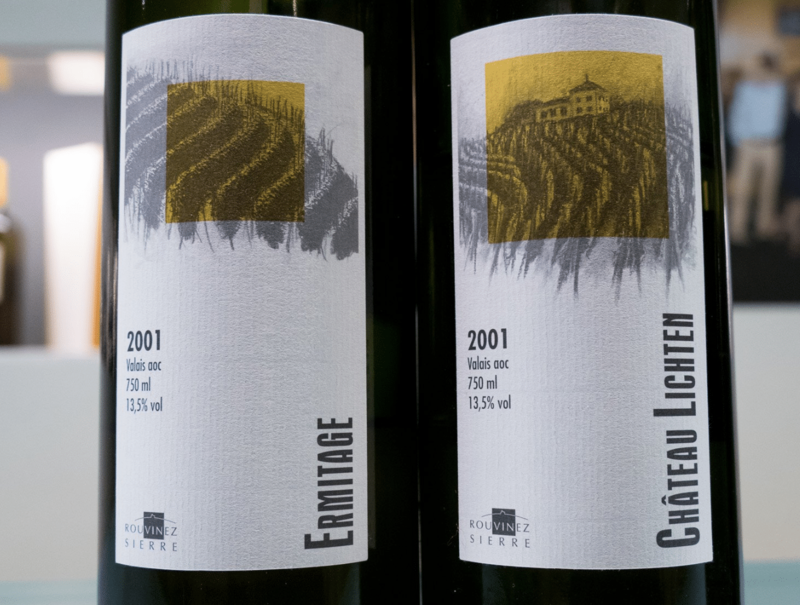 The 2006 vintage was a complete contrast with a hot spring and a rainy summer, perfect for the Petite Arvine, which was the star of the show – dry, tangy and showing how great Alpine whites can be – and at 12 years old, too! The Marsanne was so rich that it was almost blousy. 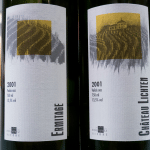 Finally, in 2001, the cool, wet early summer had ended well with a good August and September, but the Petite Arvine had not quite stayed the course; the Marsanne, however, was a treat, being vibrant and rich. 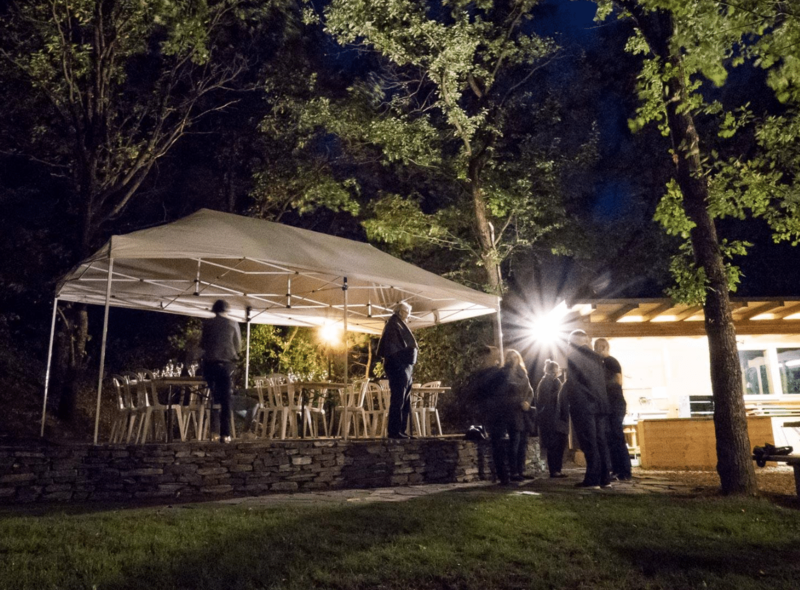 A delicious barbecue followed with some of Rouvinez’ oaked wines and a comparison of Cornalin and Humagne Rouge reds, but a cold north wind forced us to drink and eat dressed like monks in blankets to keep warm, so few notes were taken thereafter. “You need to have fun to make great wine,” were some of many words of wisdom and downright hilarious comments shared with us by Mike Favre over the most casual of vineyard visits, accompanied by lunch and a selection of his wines. 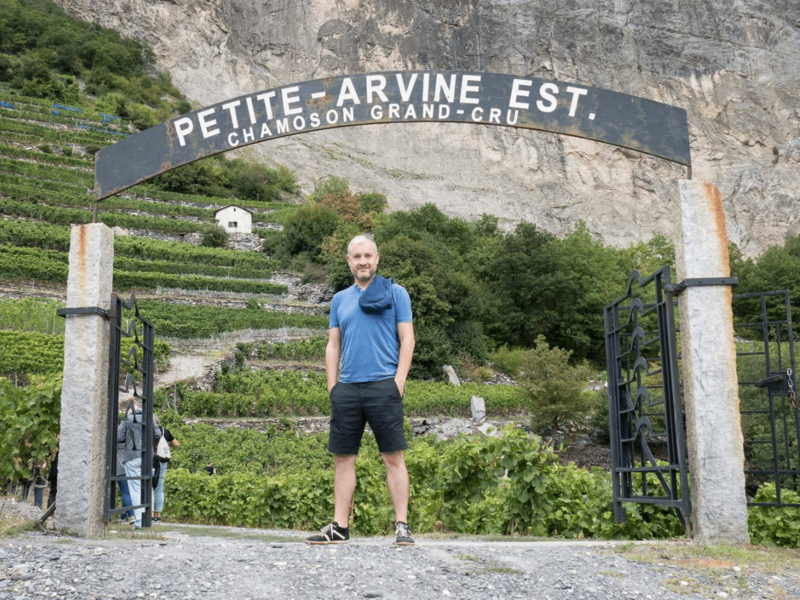 Mike, with his brother John at Domaine Les Fils de René Favre, is one of the 1,120 owners of the 428 ha of the village of Chamoson, which is the biggest single plot of vines in Switzerland. In Chamoson, about 60 different grape varieties are grown, only 35 of which are technically authorized and about 60 hectares are on terraces. Joining us for this visit was another owner, CWW member José Vouillamoz, who owns 300 m2 and is, like many owners, referred to as a vigneron de dimanche (Sunday grower). Most owners club together for spraying by helicopter, something that the environmentalists tend to hate, but Mike defends. He says in jest that the helicopters save vignerons from having to be mountaineers, but in all seriousness, they avoid the likely higher carbon footprint of numerous small tractors driving in and out of the vineyards. Drones may be the future for spraying, but Mike said experimentation was at an early stage. 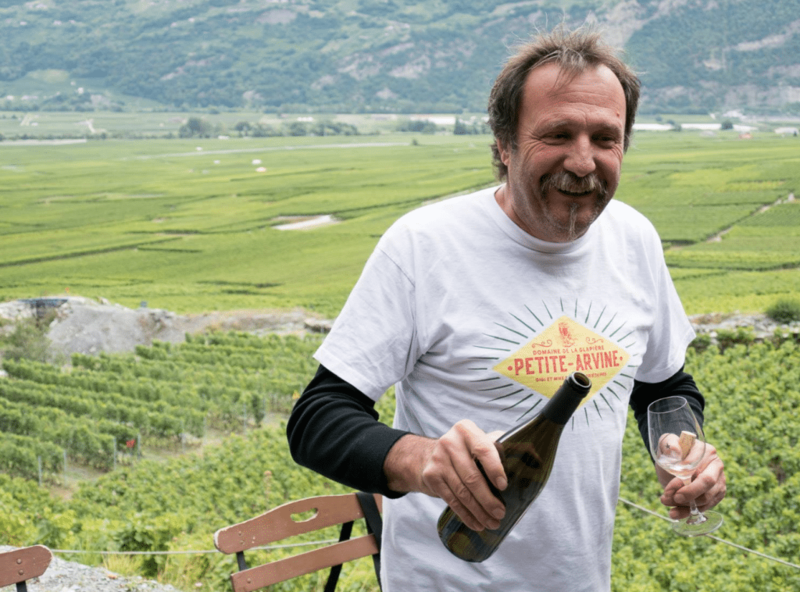 We gathered around a mini-chalet set up for tastings/eating in Mike’s Petite Arvine vineyard and below was the oldest Petite Arvine anywhere, planted in 1928 – “it grows very slowly,” explained Mike. First up was a lovely, fresh 2017 Petite Arvine and Mike said that he had stopped malolactic in the warm vintage of 2003 and never re-started it. Quite different was the 2014 Grande Année Petite Arvine, which amazingly to all of us was fermented and aged in new oak for 18 months, yet was supremely well-balanced. It did have much more colour than the first and the truth was revealed that about 3 per cent of the blend had spent two weeks on skins… no, not an orange wine, but nevertheless, Mike said that the traditional white wine vinification in Valais was with skin contact until the early 20th Century – hello, Simon Woolf, are you there? 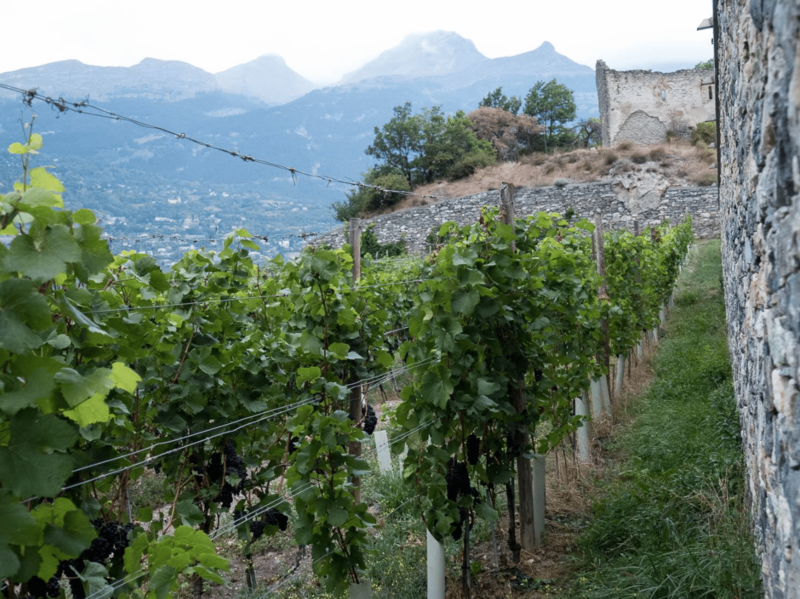 A classic Rhône style Syrah 2016 (and why not, we were just above the Rhône, after all) was labelled Grand Cru, prompting a big discussion about what grand cru means in Switzerland. 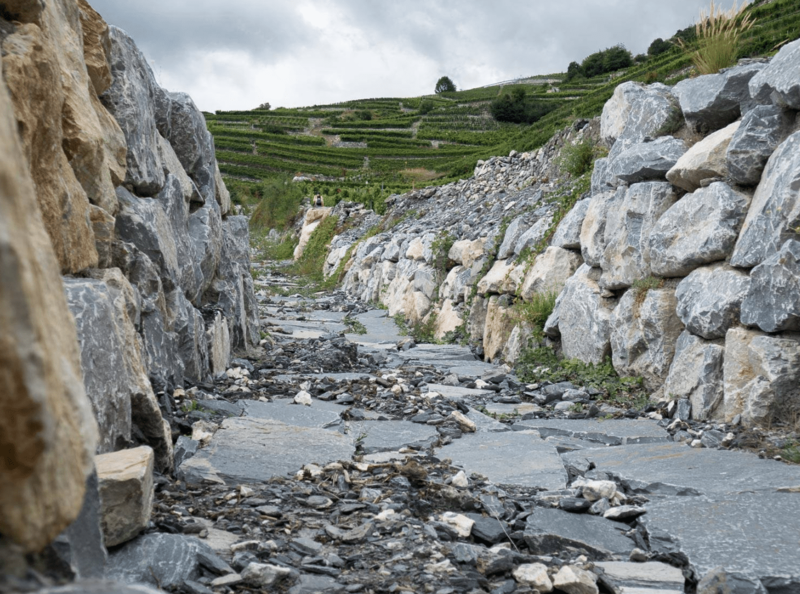 “A political nightmare,” said Mike, despite many checks on terroir suitability before a grand cru is approved, and tastings to make sure wines fit the criteria for grand cru. Each village is restricted to four grape varieties for Grand Cru (reminiscent of Alsace), which in Chamoson are Pinot Noir, Syrah, Petite Arvine and Johannisberg (the local name for Sylvaner). 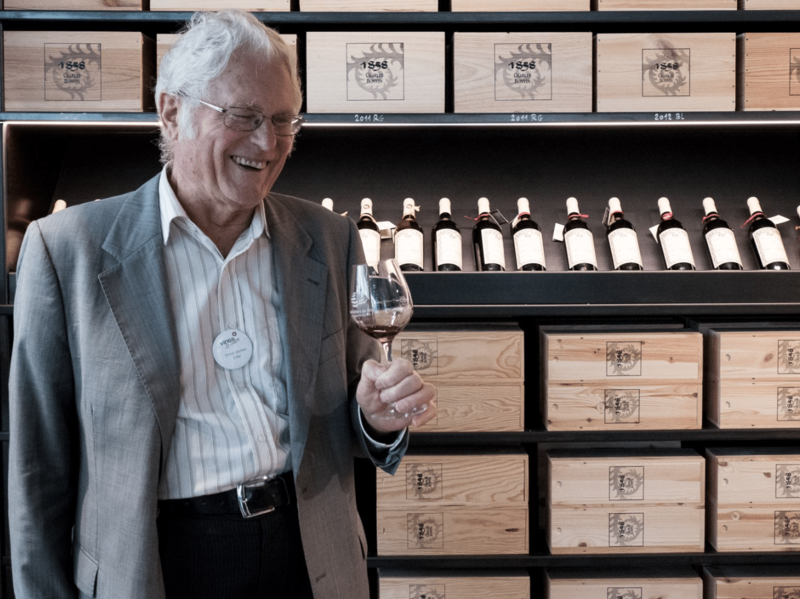 Mike was obviously sceptical about the huge numbers of grands crus and said winemaking should not be so prescriptive and that this was a subject for future generations to work on – his son has joined the estate, something that obviously makes him proud. Mike’s gorgeous Pinot Noir Renommé 2008 ended our tasting and at ten years old seemed just the right age and balance. Who said Swiss wines should be drunk young? POSTSCRIPT: I had visited Mike Favre some two decades earlier and it had left a very favourable impression, but I had not had time before this visit to search for any notes. In the hunt since I have found an article I wrote on Swiss wines for Harpers, published in March 1999. 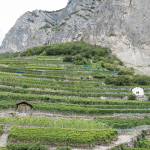 Although there has obviously been progress in certain areas, many things have not changed in 20 years and one prophesy of the widespread availability of top Swiss wines is sadly unfulfilled. You can access a scan here. 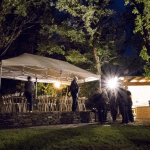 Our thanks to the organisers of Vinea for inviting and hosting CWW members once again, with a special mention for the final dinner at Château Mercier. Also, we thank Les Vins du Valais and all the winemakers who received us.